This morning was warm, wet and windy with the cloudbase at around 600 metres. The cloud became broken in the afternoon and there were sunny periods. 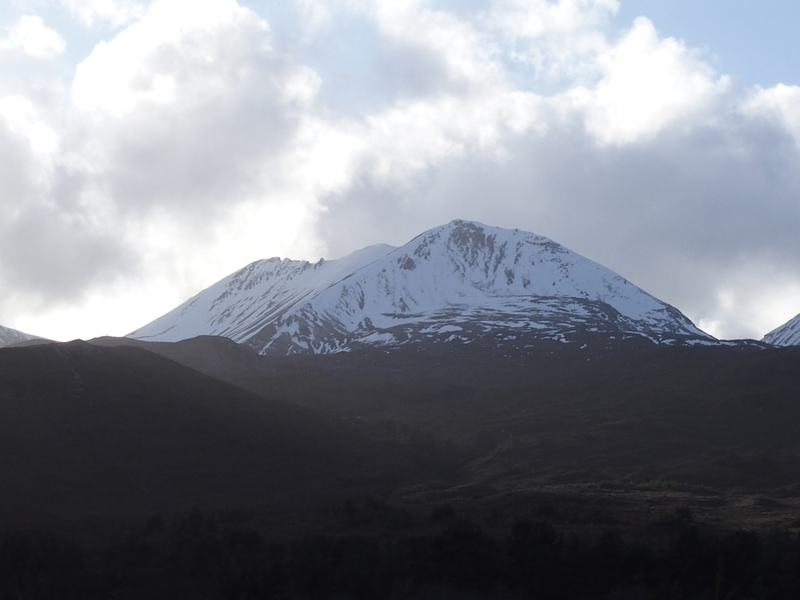 The snowpack is thawing at all levels. Technology issues mean that I can’t post the pictures that I took on the hill today. You’re not missing much! 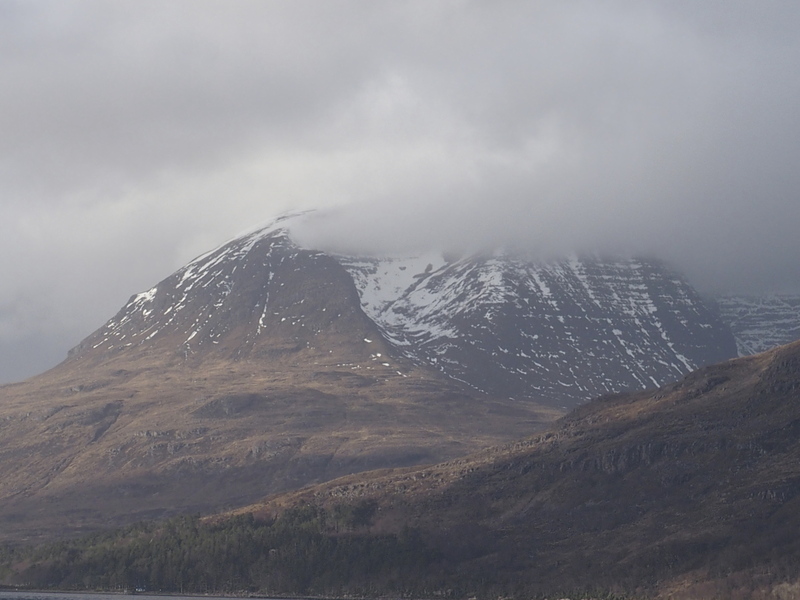 Rain, low cloud and melting snow. 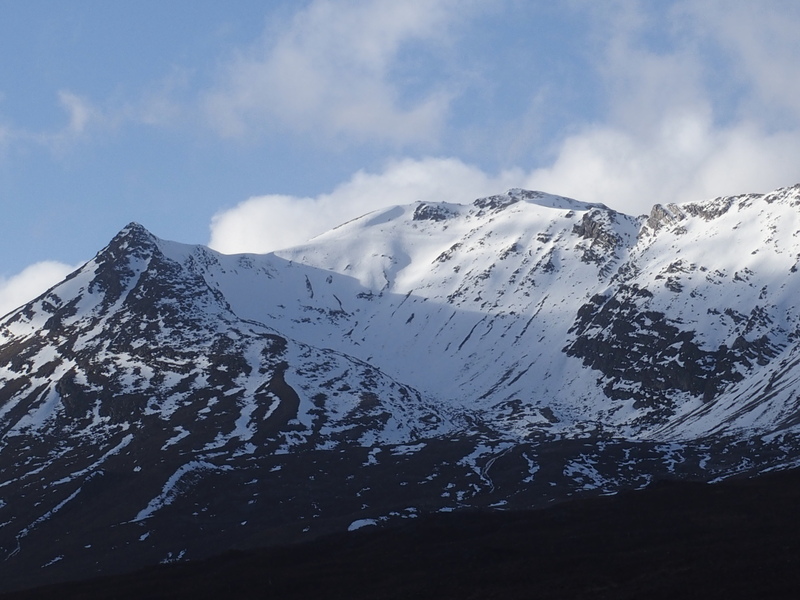 Below are some others that I took from the glen in the afternoon when the weather improved. 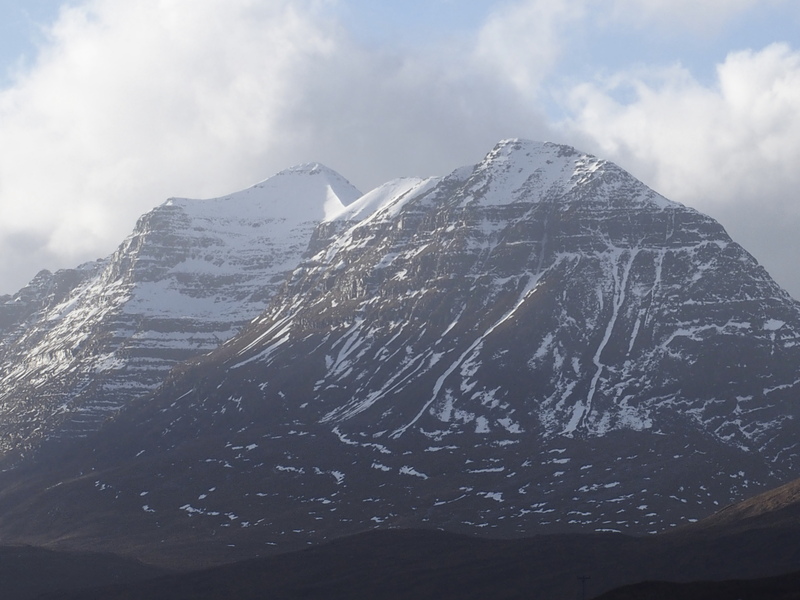 Coire an Laoigh, Beinn Eighe, the site of today’s snowpit. 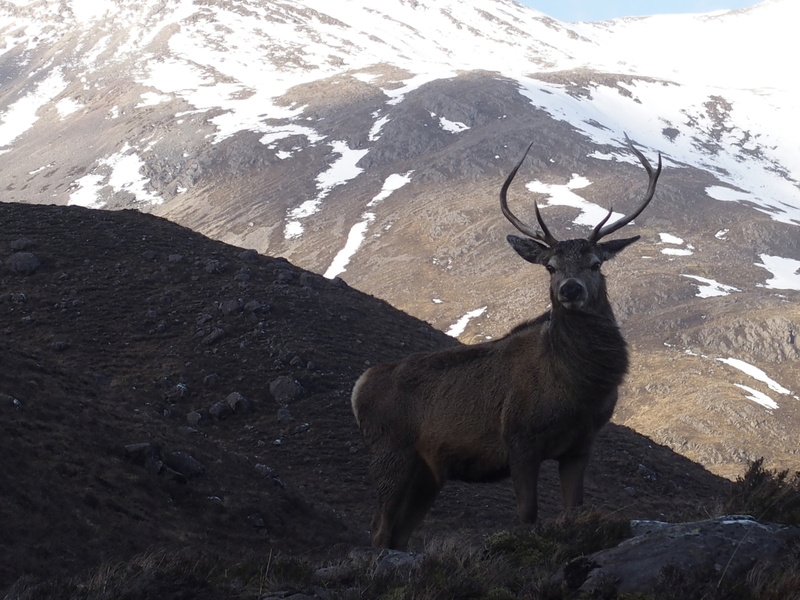 Red deer stag with Beinn Eighe behind.